Gilchrist accrued two tackles (one solo) during Sunday's 35-3 loss to the Chiefs. Gilchrist (calf) is active for Sunday's game at Kansas City. Analysis: Gilchrist was a late addition to the injury report Saturday but is still able to play in Sunday's season finale. The 30-year-old should finish the season having started all 16 games at safety for the Raiders. Gilchrist (calf) has been added to the injury report and is questionable for Sunday's game against the Chiefs, Vic Tafur of The Athletic reports.. Analysis: It's not clear when Gilchrist suffered the injury, but the safety is evidently questionable for the last game of the season, one week after recording his first interception of the 2018 season. The lack of turnovers has made Gilchrist an unreliable option in IDP leagues, and the same could be said for Dallin Leavitt or Erik Harris if they were forced to start in his place. 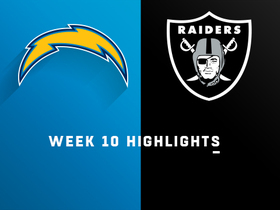 Gilchrist tallied six tackles and his first interception of the season Monday in the Raiders' 27-14 win over the Broncos. 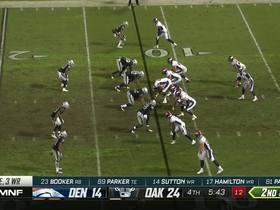 Analysis: After whittling the Oakland lead down to 10 points early in the fourth quarter and then forcing a punt, the Broncos had established some momentum, but Gilchrist disrupted that when he picked off Case Keenum with 5:36 remaining. 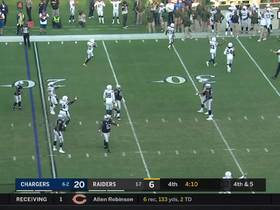 The interception put Oakland in field-goal position, allowing the Raiders to effectively salt the game away. Though this was Gilchrist's best fantasy performance of the season, his lack of consistently big tackle totals caps his weekly upside in IDP settings. Gilchrist (undisclosed) was not listed on Wednesday's injury report, Matt Schneidman of The San Jose Mercury News reports. Analysis: Gilchrist exited Monday night's contest after a collision with Rams running back Todd Gurley. His absence from the injury report suggests he's in no danger of missing out on Sunday's Week 2 affair against the Broncos. Gilchrist suffered an undisclosed injury in Monday's loss to the Rams, Michael Gehlken of the Las Vegas Review-Journal reports. Analysis: Gilchrist drew the start at Oakland's free safety position, but exited the game after a collision with running back Todd Gurley. Expect an update on Gilchrist's injury if he is unable to practice fully to begin Week 2 of the regular season. 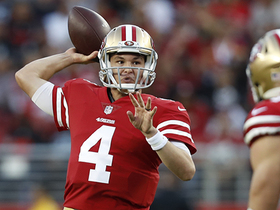 Gilchrist (foot) is expected to return to practice Monday, Matt Kawahara of the San Francisco Chronicle reports. Analysis: Gilchrist has been sidelined for two weeks now with a foot injury that was originally believed to be minor. The defensive back appears set to finally make his return to the practice field Monday, and with that, he should be in line to play in Friday's preseason game against the Packers. Gilchrist did not participate in Monday's practice due to a foot injury, but head coach Jon Gruden is hopeful he can return Tuesday, Vic Tafur of The Athletic Bay Area reports. 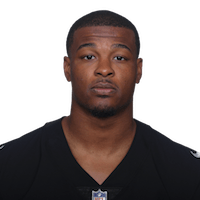 Analysis: Gilchrist already was sidelined for the Raiders' minicamp back in June, and the injury bug has hit him yet again. However, with Gruden hoping the free safety can make a return to practice as soon as Tuesday, it doesn't appear that the injury is too serious. For now, Gilchrist should be considered day-to-day. 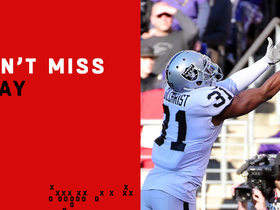 Gilchrist missed the Raiders' mandatory minicamp this month due to a strained calf, Matt Kawahara of SFGate.com reports. Analysis: The severity of Gilchrist's injury isn't clear, as the veteran could've been held out of minicamp as a precaution. We'll know more about his situation when the team reconvenes for training camp in late July. 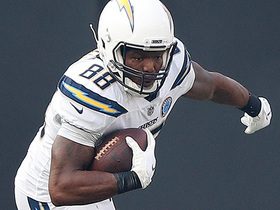 Gilchrist signed a one-year contract with the Raiders on Thursday, Ian Rapoport of NFL Network reports. Analysis: Gilchrist is coming off of a 56 tackle season with the Texans in which he added one interception as well. He'll likely be a backup to Karl Joseph and Shalom Luani in 2018. Gilchrist logged just two solo tackles in Sunday's win over the Cardinals. Analysis: It was Gilchrist's second consecutive week with just two tackles. 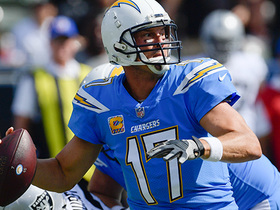 He has failed to record more than four since tallying a season high nine (seven solo) in Week 5. The 28-year-old logged 50 snaps (86.0 percent) in the contest. 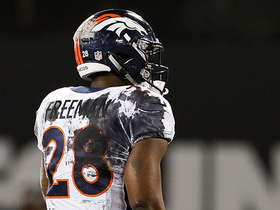 Check out the what the field conditions in Oakland have done to Denver Broncos running back Royce Freeman's jersey.